Nowadays the internet becomes the most important part of everyone’s life and most of the children’s. We know that today child is full of curiosity and it has limited awareness and maturity. It does not have knowledge of internet side effects. So, it is very important for parents that they have to aware their child about online safety. If the parent doesn’t have enough knowledge about it then the teachers are also very helpful, they can easily guide the students and also get involved them in the conversation. Students conduct the technology classes then they spend the time into a school projects and after that, they spend a time to use the internet. 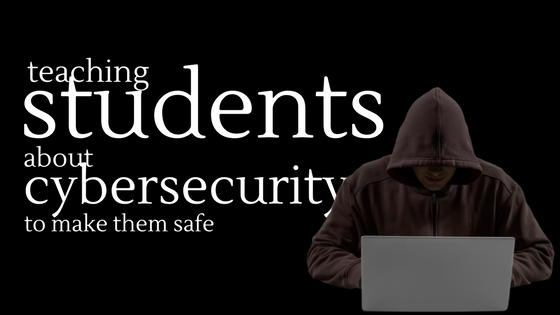 So it is great that teachers include cyber security in their topic and talk about it in their class. With the passage of time cyber crime becomes the traditional crime. Now a day’s thieves become smart, they left robbery, stealing and start the cyber crimes, is the new way to break houses through the screen. We have some important points and suggestions by this you can easily protect your child from the cyber crime. What do think about the digital natives, nowadays children are born in the digital era and they see the world by the internet? They think that the internet is full of information and give the answer to everything but they don’t aware of the negative aspects of the internet. They don’t have knowledge of that person who has bad intentions, who can misuse your personal information if you are not careful about it. Nowadays toddlers are using smartphones, tablets in the same way the teenagers are used. In the schools, we are not talking to our students about cyber-security and the cyber-crimes but it is very important to know about what to look out for. We should teach students in the classroom about cybersecurity and taught them about the rules of using the internet and aware them about the cyber world. Taught them that don’t chat with strangers, don’t take anything from anyone even free prices and most of all don’t share your personal information with anyone on the internet. Teenagers are great examples which show how technologies go wrong. Nowadays teenagers share everything in the social media that what they are wearing, what they are eating and what are they doing and they don’t realise that time, that who can view their things. Sometimes they post their personal information and their teachers, families, and the principles and many other peoples are viewed their information and its increase the chances of the cyber-crime even you were deleting that thing after some time but once anything goes to the internet then it is not possible to delete it. Talking with strangers online has become very norm these days. Because its look cool to make new friends and starts relationships, share pictures and video calling but the responsible adult are to be restricted on it. The small mistake could be calamitous so, tell your students to avoid it. Tell them that you are always being their side, if anything goes wrong in the cyber world they would easily share with you. In the world of internet, everything is so easy to reach. Teacher and parents should be well aware of all things and guide the children about the advantages and disadvantages of it. If you don’t talk to them about these things then you put them in a danger. Katherine Morley recently holds degrees in human-computer interaction and classical studies. She also earned a PhD in Computer Science from the University of Bristol. Now she is currently working with Expert Essay Writers to help the student of Computer science. Her Expertise in Computer science gives the supreme results of the students.